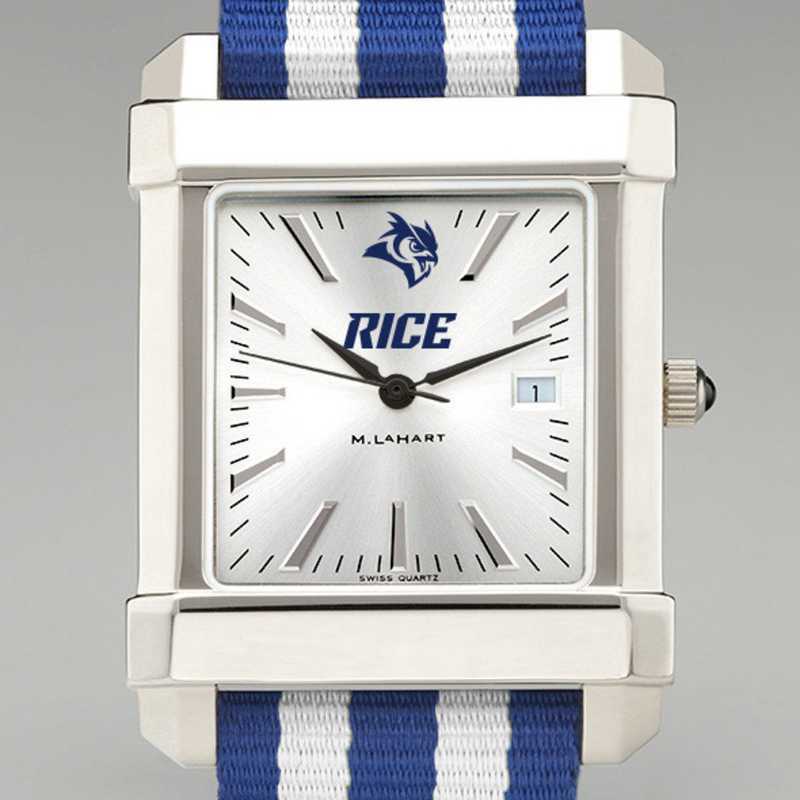 Gift yourself or a diehard fan with a wide range of NCAA and college products. 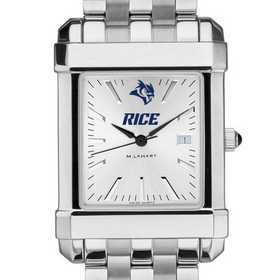 This Rice University original features the Rice logo on our sophisticated new dial with a sunray brushed metallic finish. The NATO strap popularized by James Bond now features your school colors for the first time. 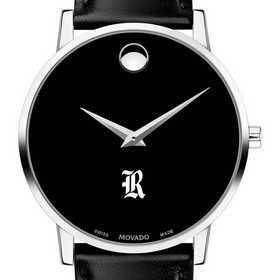 Swiss-made quartz movement with 7 jewels. 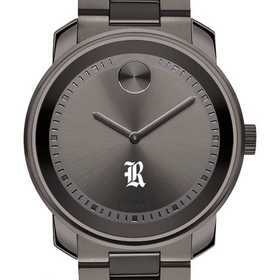 Sunray brushed metallic dial with hand-applied, faceted markers and date window. 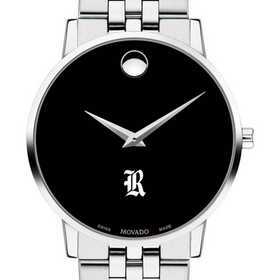 Stainless steel case with Swarovski black crystal cabochon. Scratch-resistant sapphire crystal. Water-resistant to 30 meters. Three-year warranty. Adjustable strap measures 10 3/4" long, 20mm wide. Attractive M.LaHart signature gift box. 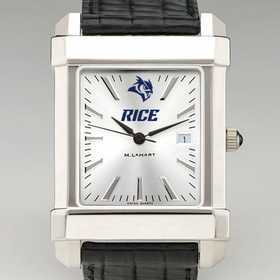 Officially licensed by Rice University.Manufacturer direct from a trusted supplier.